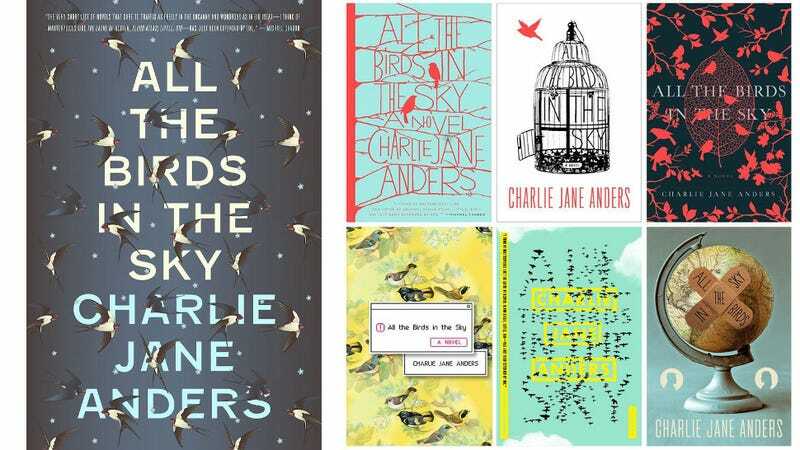 [UPDATED] The first chapter of CJA’s book All the Birds in the Sky, due out next year, is posted over at Tor.com to read. The second chapter has now been posted here introducing the other main character. The book is described as blending literary fantasy and science fiction, telling the story of the decades-long, on-and-off romance between a sorceress and a computer genius, beginning in childhood and proceeding against a background of increasingly catastrophic climate change. *Also the source for the book cover and alternate design images.